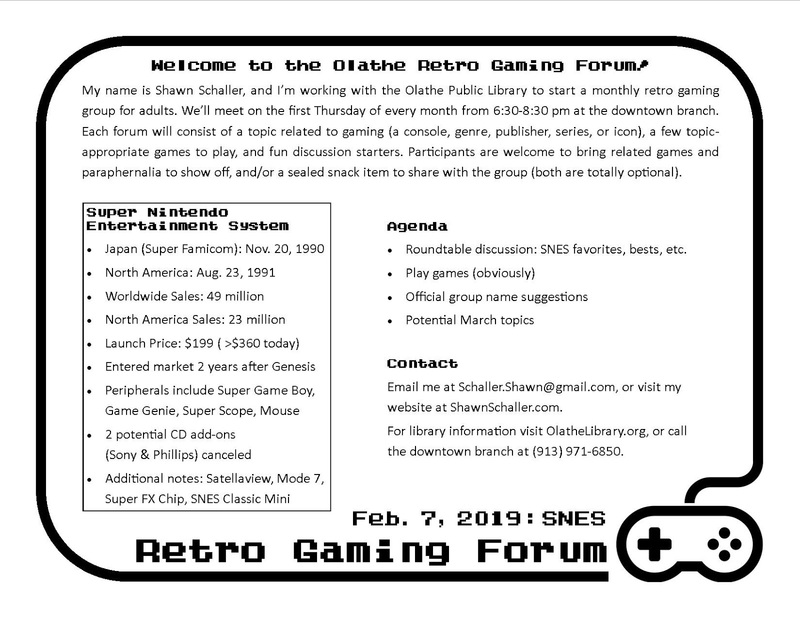 The Olathe Public Library (downtown branch) will host a Retro Gaming Forum on Thursday, Feb. 7, from 6:30-8:30 pm, led by yours truly! 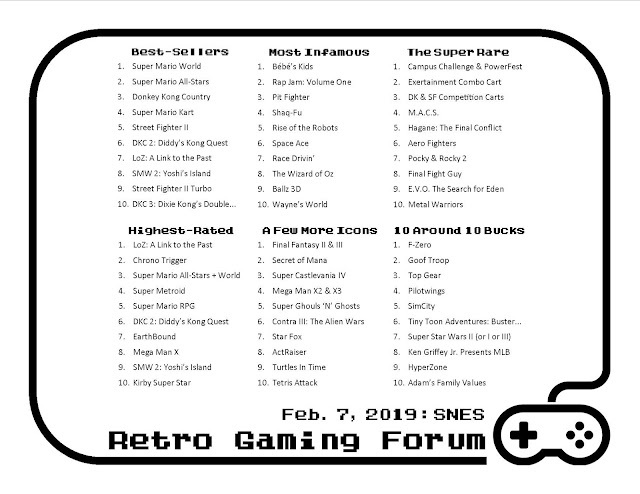 This month's topic will be the SNES, and will include an original SNES console and a few games to enjoy, and several discussion topics. 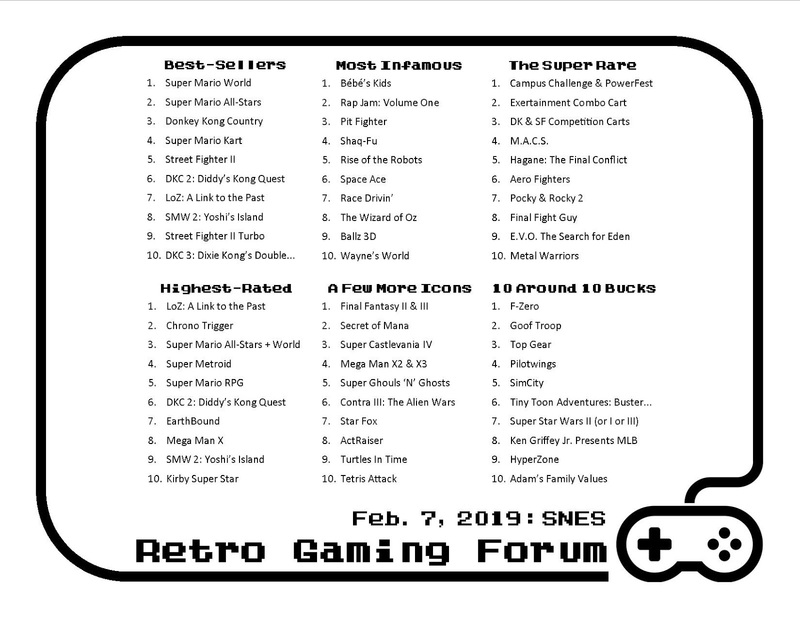 Participants are encouraged to bring their favorite games to show off, and/or a sealed snack to share. The subject matter and conversation will be catered to adults, but all are welcome. This first attempt will act as a pilot test; I'll be encouraging suggestions for names, expectations and plans going forward. Future forums will occur on the first Thursday of every month at the same time and place, so plan ahead, and I hope to see you there! Check out the flyer containing information and discussion topics for the first forum.